Looking for the perfect winter getaway? Escape to Branson and enjoy the quiet off-season at this warm and cozy 2-bedroom, 2-bath villa located in the premier gated golf community of Stonebridge Resort! Elegance and class are abundant in this luxuriously cozy villa. From the finished wood flooring to the soothing sounds of the living room fireplace, you can only melt into relaxation when you stay here. Villa on the 13th Green lives up to its name, only a few yards away from the lush 13th Green and Fairway of the Ledgestone Golf Course. 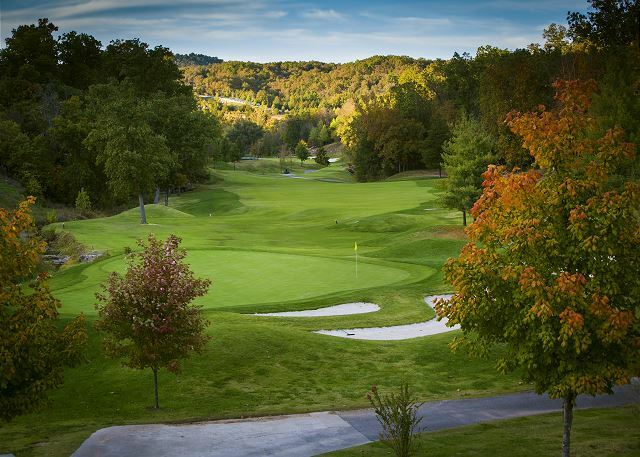 Sit back on the screened-in porch as you watch players take their shot at the best score of their lives at one of Missouri's top golf courses or maybe it's you enjoying a day of golf? Either way, it makes a perfect scene for an Ozarks vacation. After a day of fun activities, come back to the serenity of this beautiful villa to enjoy a fresh cup of coffee or catch up on your favorite shows on the 60" smart TV with Blu-Ray DVD player, or challenge the others in your group to a board game tournament! As time goes by and stomachs start to rumble, whip up a delicious meal in the full-sized kitchen which features all new stainless steel appliances. This villa comes fully equipped with all the amenities of home including a washer and dryer for your personal use. The master bedroom suite features a king-size bed, large private bathroom with a whirlpool tub, walk in closet and a 55" smart TV. The second bedroom features a queen-size bed, separate access to the main bathroom, and a flat screen TV. A queen sleeper sofa with memory foam mattress accommodates additional guests. 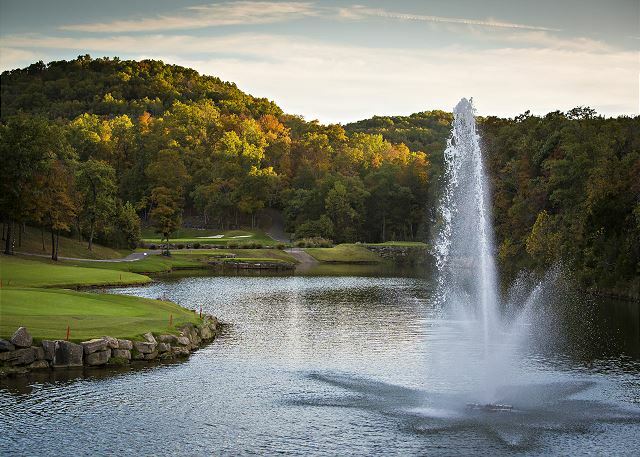 This is truly a wonderful place to make lasting memories of your Branson vacation with your family and friends. 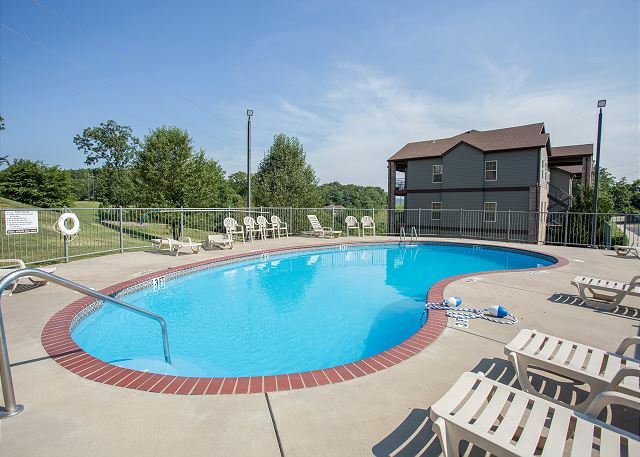 Stonebridge Resort is home to many wonderful amenities including 3 swimming pools, 3 playgrounds, tennis courts, basketball court, sand volleyball court, walking trails, catch and release lake, and on-site restaurant. 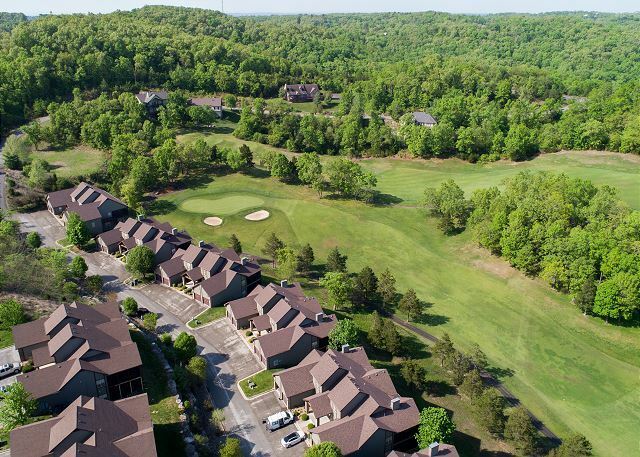 You're only 1 mile from Silver Dollar City and minutes away from all the excitement of the Branson Landing and strip. 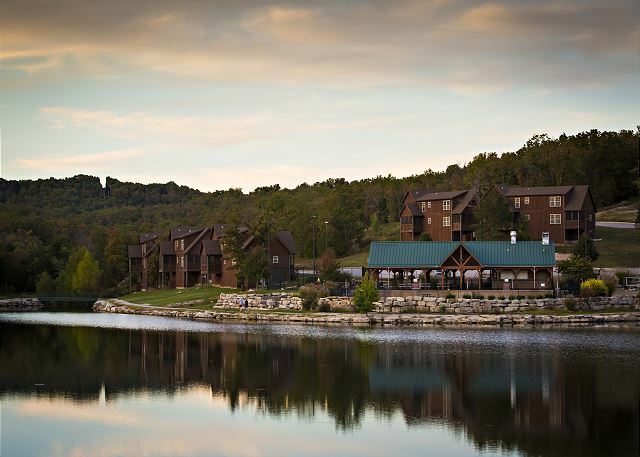 Don't forget to take a trip to Table Rock Lake and soak up the beautiful nature that Southern Missouri has to offer. Boat rentals and other water amenities are available at the nearby Indian Point Marina. There's nothing unlucky about the #13 when it comes to this beautiful villa! 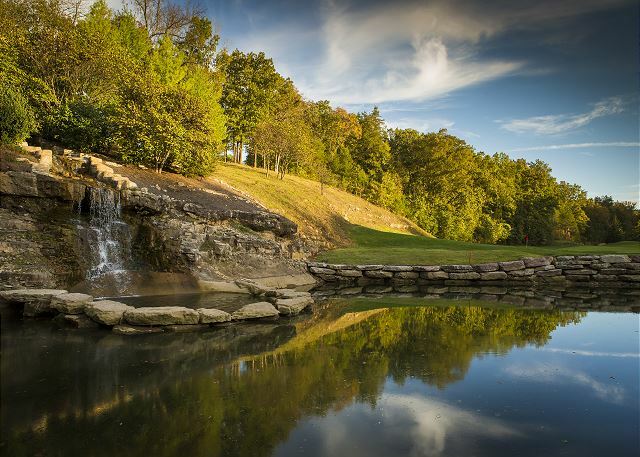 It's the perfect spot for a family vacation or golf getaway. Call Sunset to book today!